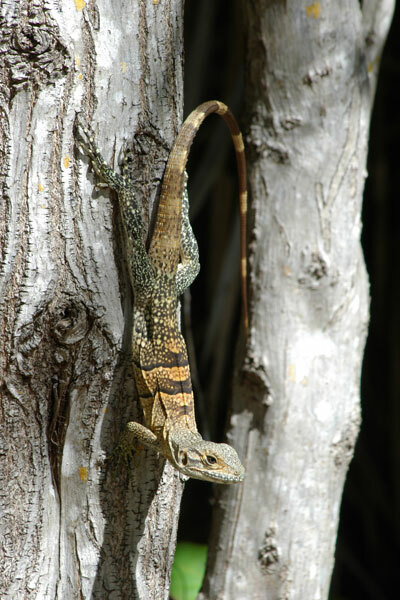 We saw at least a dozen of these large iguanas hanging out on fences, rocks, trees, porches, everywhere. But like chuckwallas, they didn't want us getting anywhere near. 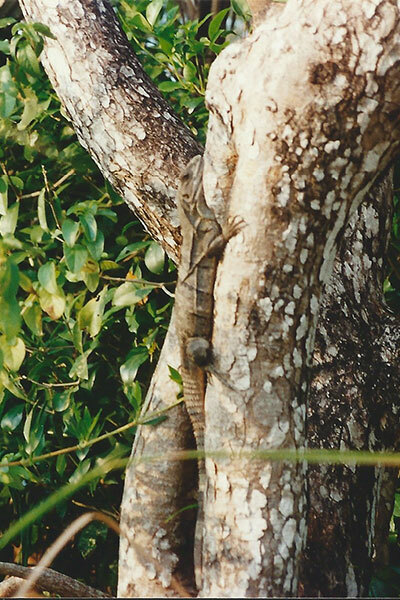 Next time I'm in spiny-tailed iguana land, I'll have a telephoto lens. Between visits to Carara National Park, we dropped by a nearby hotel for lunch on their beautiful outdoor patio. 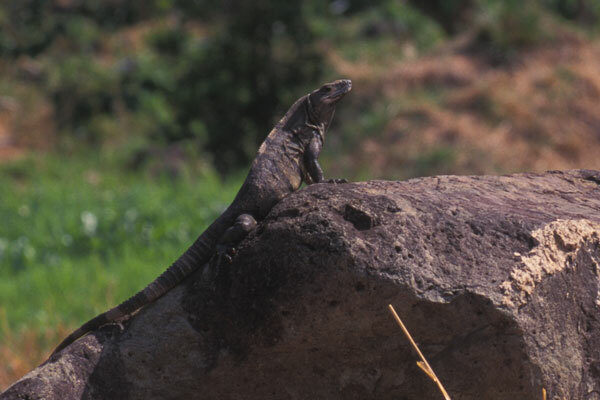 Providing our post-lunch entertainment was a healthy collection of black iguanas and common basilisks. 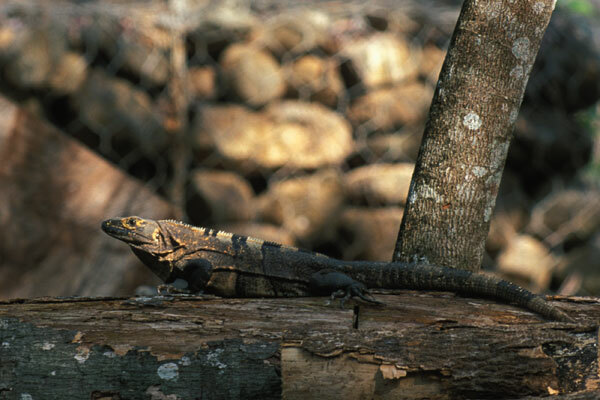 Sure enough, telephoto lens in hand, I eventually came across more spiny-tailed iguanas, this time in Costa Rica. This was one of several large lizards sprawled around a rock-strewn field just off the road. This large male was doing giant-lizard-sized push-ups, no doubt impressing the female iguanas with his manly physique and dominating personality. This bridge near Carara National Park is well-visited due to the ever-present collection of American crocodiles in the Tarcoles river beneath. 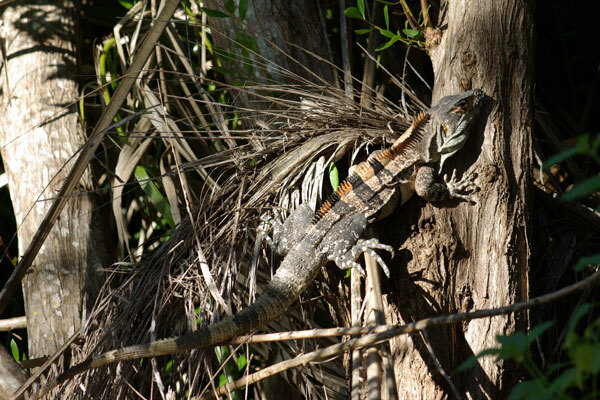 Just at the south edge of the bridge I spied this beautiful juvenile spiny-tailed iguana clinging to a small tree. 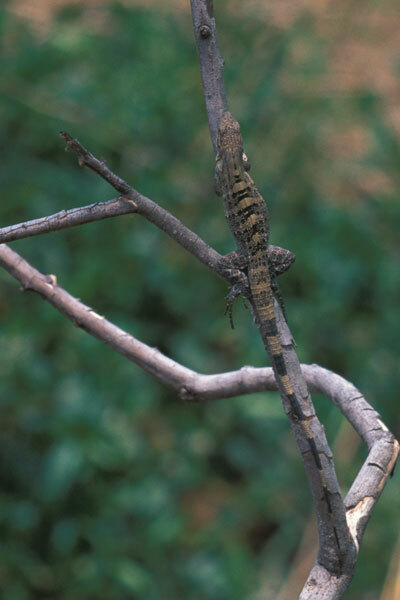 Babies of this species are bright green, resembling young green iguanas. This one is old enough to have lost its green color, but still retains prominent banding and colors, which fade with age. Crandon Park was home to a zoo until 1979. The zoo grounds remain, having been redesignated a Botanical Garden. 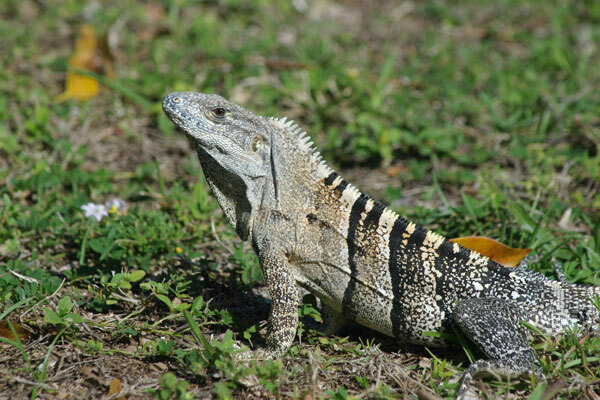 Apparently the reptile keepers at the old zoo were a little careless about their charges, because huge populations of non-native Gray's Spiny-tailed Iguanas and Green Iguanas parade around as if they own the place. 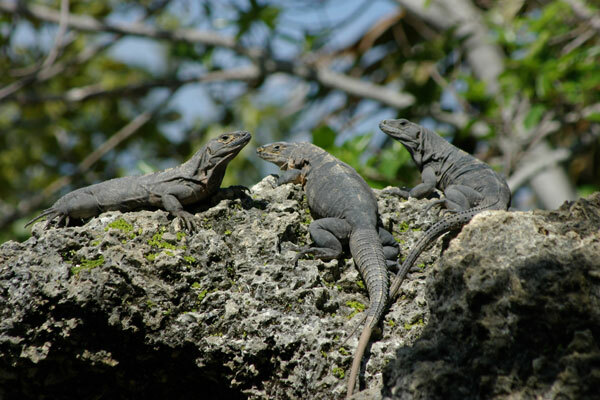 Until you get too close, that is, whereupon the Spiny-tailed Iguanas dash into burrows or rock crevices, and the Green Iguanas leap into the nearest water. 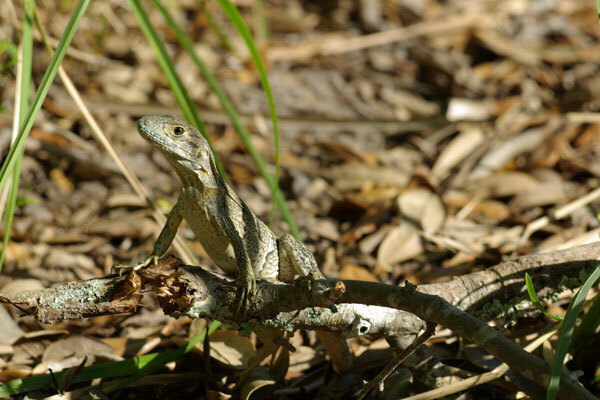 A paper by Josiah H. Townsend, Kenneth L. Krysko, and Kevin M. Enge, available online in PDF format, documents the history of the three non-native iguana species in South Florida. More happy iguanas living where they shouldn't.